"Be You" at Beyu Caffe in Durham! chai lattes, and bottled sodas. Bread Pudding, Creme Brulee, and Vegan Chocolate Mousse. Malachi, Nnenna Freelon, John Brown, and Cyrus Chestnut. and employee to Be You”! to visit us here in Durham, North Carolina. 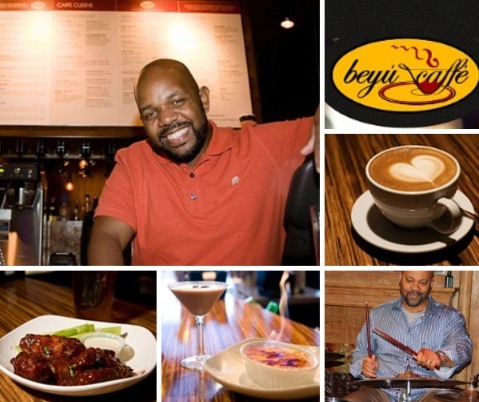 This entry was posted in Uncategorized and tagged #1 black-owned bed and breakfast, Beyu Caffe, coffee, Durham, guests, live jazz, Morehead Manor, restaurant by admin. Bookmark the permalink.